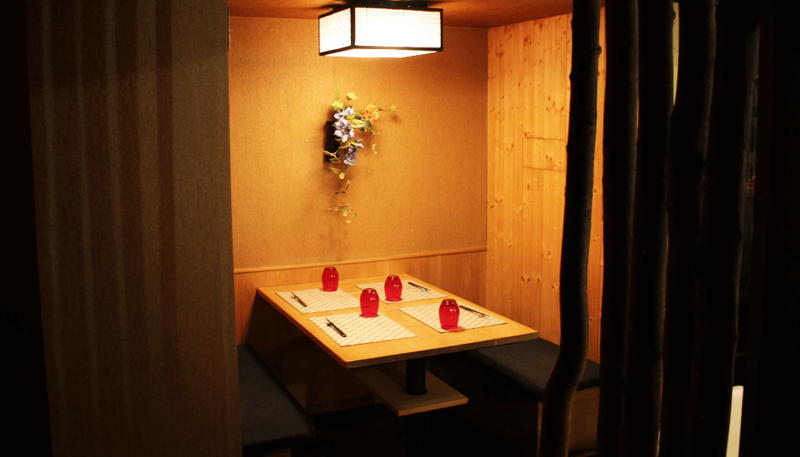 A new definition of sake dining awaits in Ginza. 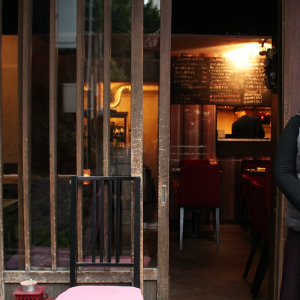 “I believe food and drinks are tools to make guests feel happy,” says Ginza NARASHIBA owner Hidemasa Takahashi. Takahashi says it’s all about sharing what he finds with other people. There is no menu at NARASHIBA. Even French-style offerings are presented omakase (chef’s choice), served on small plates and to be eaten with chopsticks. Each dish is carefully paired with sake from across Japan. Mr. Takahashi and NARASHIBA’s chef originally discussed opening a restaurant based on only on the concept of combining French and Japanese cuisine. However, after tasting Kamoshibito Kuheiji sake from Banjo Brewery, Mr. Takahashi was convinced that French dishes could be paired with Japanese sake. 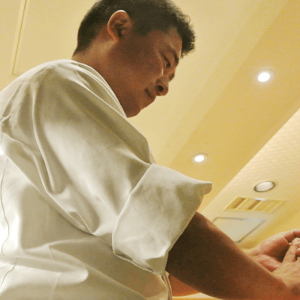 As for the chef, Hideto Tashiro, his Japanese heritage inspires him to take a flexible approach to French cuisine. Integrating sake pairings was a welcome proposal. When pairing food and sake, Mr. Takahashi selects the sake based on whether the dishes are more Western or Japanese. Acidity the Key to Pairings? 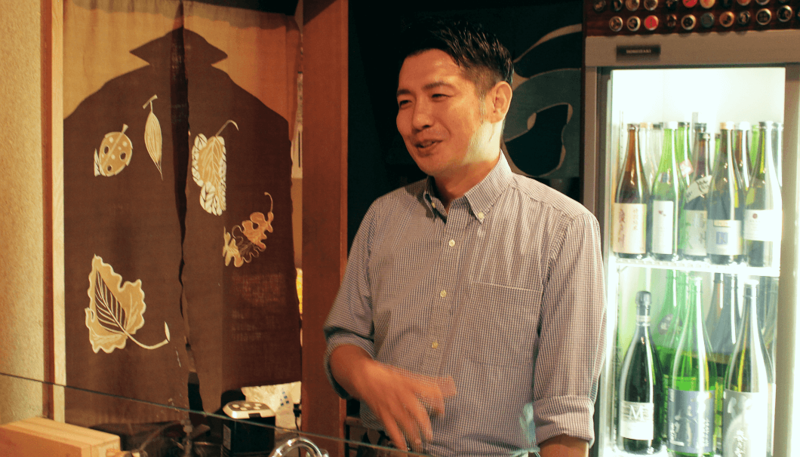 There are roughly 50 different sake in the restaurant on any given night, which Mr. Takahashi selects on his visits to breweries. He tends to choose those with a higher acidity. Many of the generally heartier main dishes of western-style tend to find harmony with a sake’s more tangy expressions. Mr. Takahashi was kind enough to give us some examples. 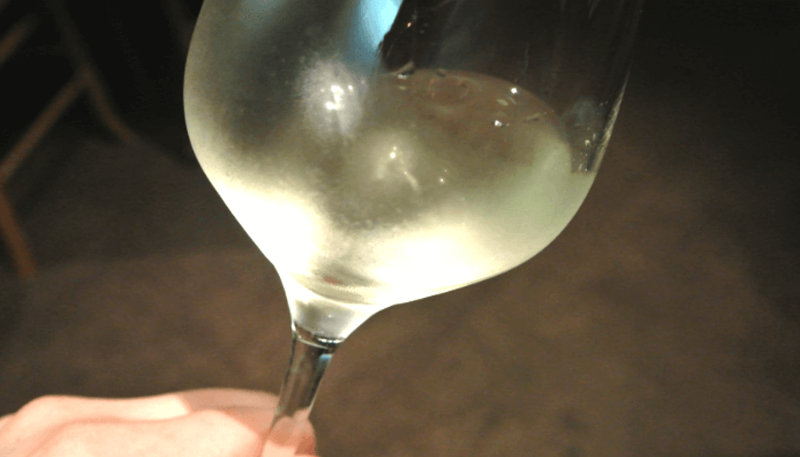 The yamahai-style sake, Pure Rice Wine, from Tajima Brewery in Fukui Prefecture, is brewed with a wine yeast, which is well-reflected on the palate. Mr. Takahashi demonstrated the sake’s exceptional compatibility with picante sauce: a tangy sauce made with shallots, wine vinegar, and pickles. 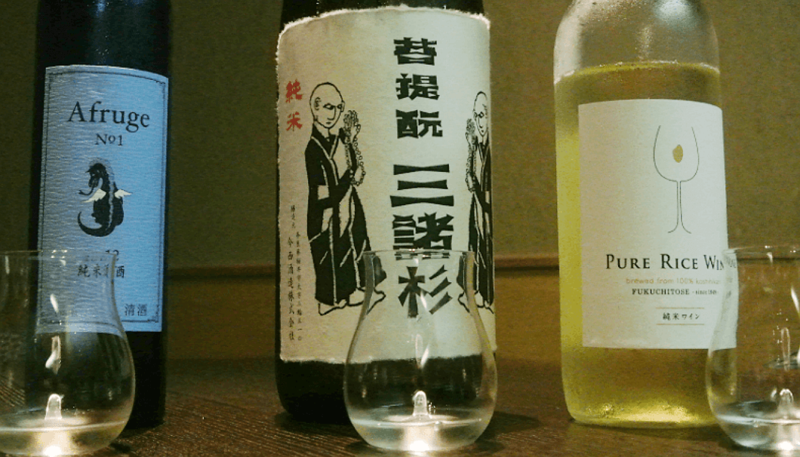 Nara Prefecture’s Imanishi Brewery has a long history of sake brewing. Their Mimurosugi Bodaimoto Junmai is made by taking sake back to its origins, using a yeast starter called bodaimoto that was originally developed in the Muromachi period (approximately 1336–1573). Mimurosugi’s deep, rich sweetness mingles perfectly with its acidity to pair beautifully with Roquefort cheese. Afruge No.1, an extremely small-batch production based on the (in)famous AFS brand sake brewed by Kidoizumi Brewery, is aged in barrels used for making the Grand Cru of Bordeaux’s St. Emilion region, allowing the development of a unique and mellow aroma that pairs very nicely with rare steak accompanied by a balsamic reduction. Mr. Takahashi went through a period of avoiding brands such as Dassai and Hakkaisan, which are already popular in Japan. His initial lineup consisted only of lesser known brands with tartness that often left a strong impression. 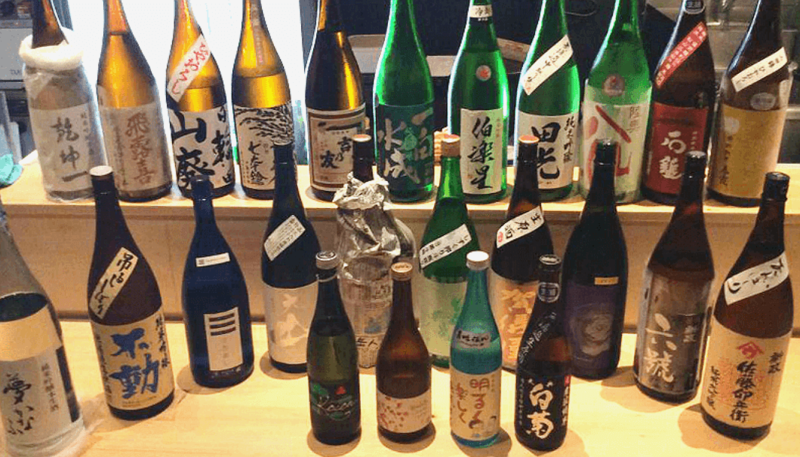 Nowadays, while he still leans toward more acidic sake, he also includes brands that are more generally popular among Japanese sake fans, such as Hakurakusei and Sawaya Matsumoto. Two sakes that NARASHIBA has always had on-hand in the cellar since opening are Amaneko and Hinotori, both from Akita Prefecture’s Aramasa Brewery. “You can’t go wrong with these,” says Mr. Takahashi. “I know they taste great, so I keep serving them without even thinking about it. I want to bring attention to new discoveries as well, but these two are just something special. It’s so frustrating!” he said with a laugh. Mr. Takahashi poured some Maibijin sanQ into a wine glass. 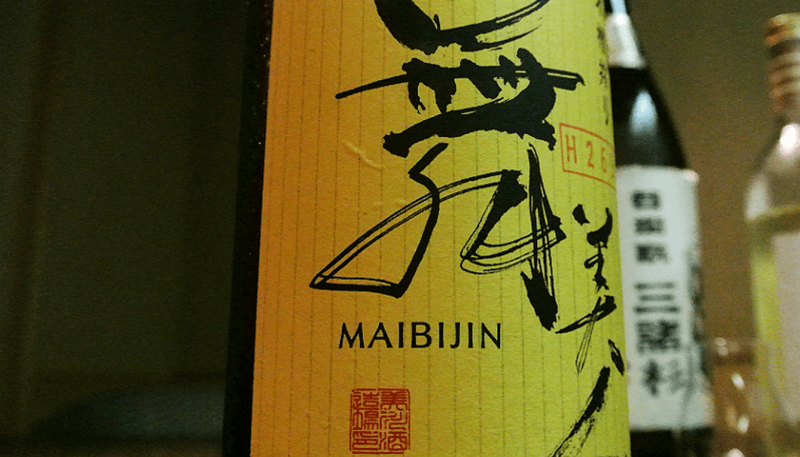 This sake drinks fruity, but features an exceptional tartness that makes the lips pucker as it rolls across the tongue. “After your first sip, swirl it around in the glass to in order to aerate it a bit,” Mr. Takahashi advised. The next sip was a surprise, as the aeration released an unexpected sweetness and mellowness — almost like a refreshing fruit juice. “The truth is, the secret is in this glass,” says Mr. Takahashi. With just a light swirl, air is drawn into the liquid as if it had been decanted for some time. 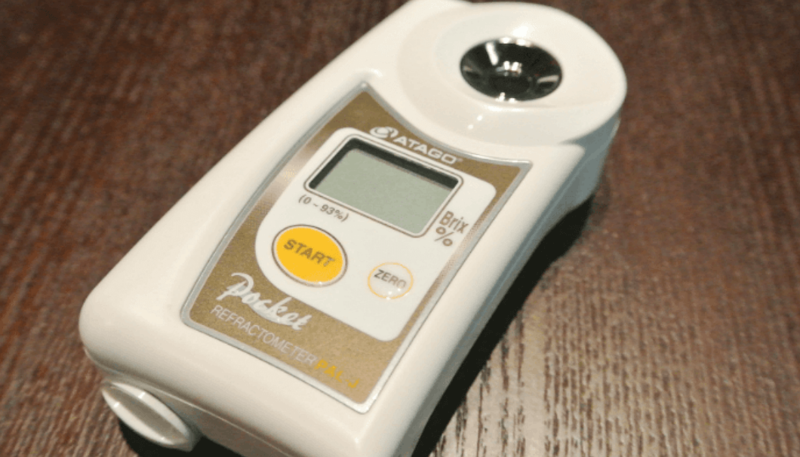 To measure the acidity and the sweetness of sake, Mr. Takahashi uses a refractometer, and he keeps records for each sake in his collection. This allows him to consider the balance of acidity, sweetness and umami in determining which sake will pair well with which dish. 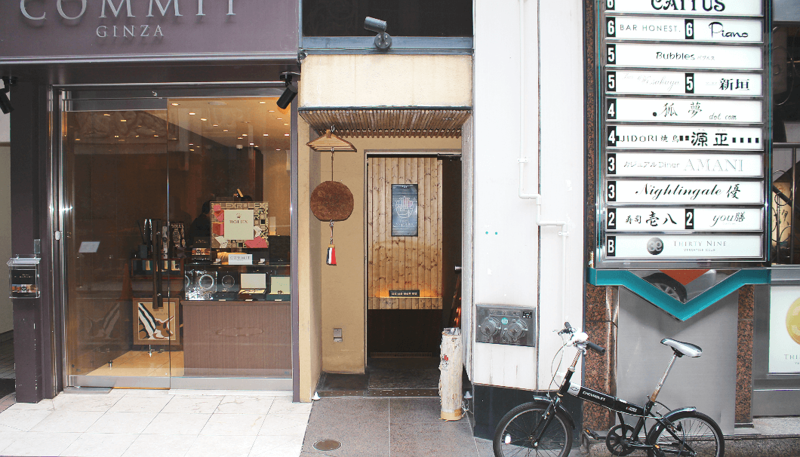 Just the name “Ginza” imparts imagery of luxury and style. 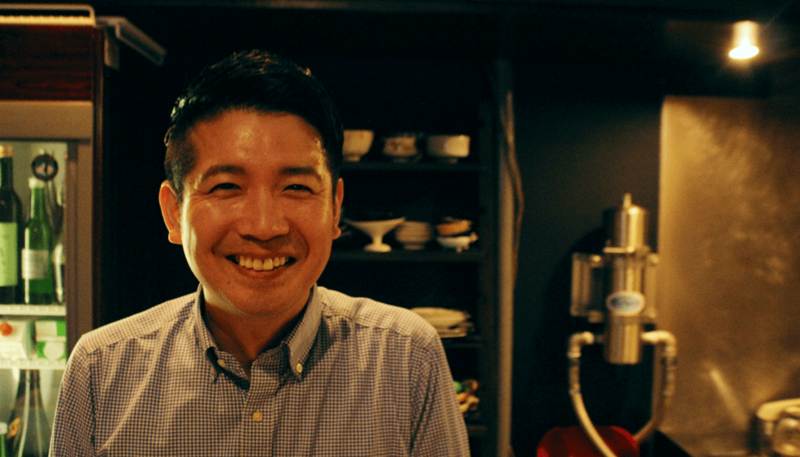 Mr. Takahashi wants to provide guests with an experience that lives up to those expectations, while remaining comfortable and approachable. From the moment a reservation is made, he begins to visualize a course of once-in-a-lifetime creations and pairings specifically for those guests. A full course of 6 dishes (12,960 yen) consists of four appetizers, a double main dish of meat and fish, and finally a special dessert. The pairing of each dish with a different sake allows guests to enjoy a variety of sake. For two guests there will typically be 8 types of sake served in 70cc (about 2.4 oz) portions, adding up to about three 180 ml (6 oz) flasks in total. While it may sound like a lot, sipping while enjoying perfectly-paired dishes often results in guests who don’t consider themselves to be “sake drinkers” finding themselves emptying their glasses and asking for more. 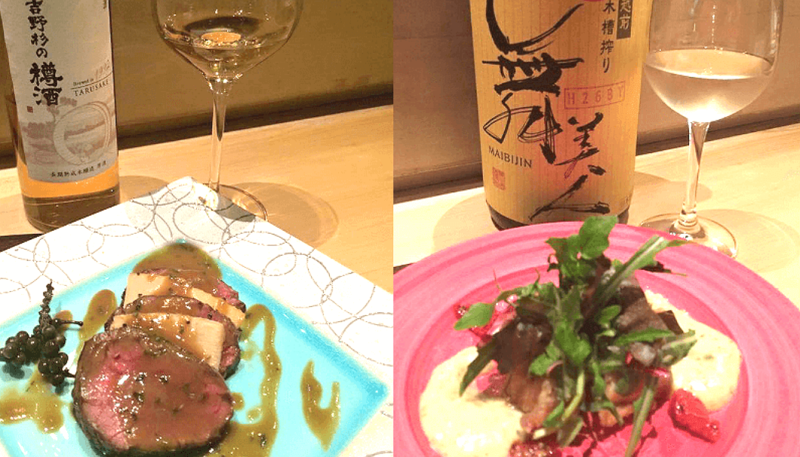 For those who prefer to consume less alcohol, a 4-dish course at ¥5,180 is also offered. 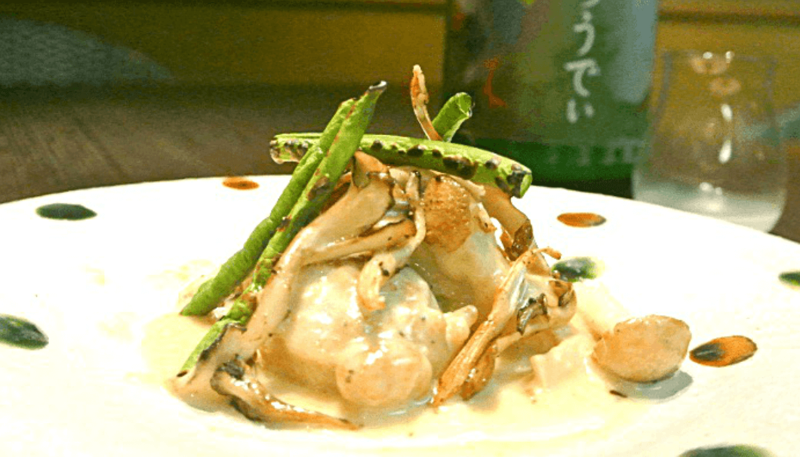 Caption: Fricassee of chicken with white wine and cream sauce pairs with Sanuki Cloudy from Kawatsuru Brewery. The fruity sweetness of this refreshing sake enhances the mellowness of the sauce, which in turn draws out the sake’s aftertaste. He recognizes that what makes one person happy is may not be the case for the next person, making him both observant and flexible. 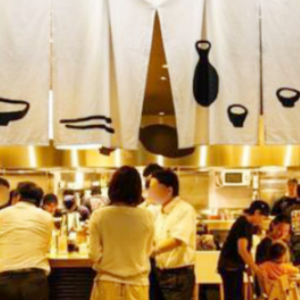 He watches the development of the dining experience as he customizes the various pairings of food and sake, providing a complete service that focuses on creating the kind of atmosphere that his guests are looking for, but didn’t even know was possible. Once you pass through the heavy metal door and enter the restaurant, you’ll feel the respect with which customers are treated here. 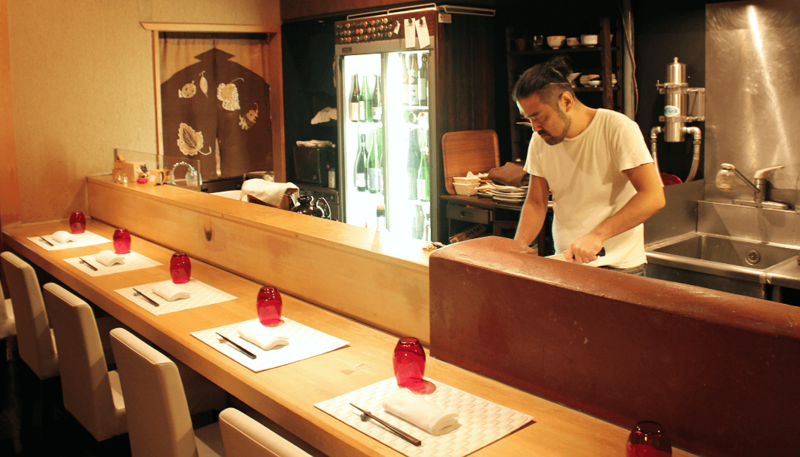 The value and status offered to regulars is the kind of service that’s only available in Ginza.